We present three new designs: Hello Manduca CircadelicGrass, CircadelicSea and CircadelicWine! Have you found your favourite? Perfect! Buying from our website is so easy. We introduced the manduca baby carrier in January 2008 and since then we have been pleased to have received so much positive feedback from parents. 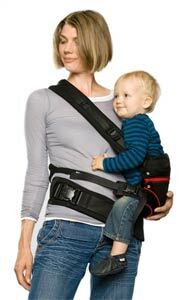 Midwives have been recommending the Manduca as the optimum ergonomic carrier for babies and parents and it has also been nominated for the Child and Youth Innovation awards 2007. The design of the manduca baby carrier was made by the company named Wickelkinder GmbH in Germany. But Wickelkinder do not only sell baby carriers, they also having some more baby products and products for pregnant woman or young mothers. A big thank you goes to the German manufacturer Wickelkinder GmbH for this great baby carrier. Do you know the beautiful limited editions of the designer baby carrier yet? If you have already chosen your favorite model, you can order it here. Austria, Belgium, Bulgaria, Czech Republic, Denmark, Estonia, Finland, France, Germany, Great Britain, Hungary, Ireland, Italy, Latvia, Lithuania, Luxembourg, Netherlands, Poland, Portugal, Romania, Sweden, Slovakia, Slovenia and Spain. Manduca is a Trademark of Wickelkinder GmbH in Germany. Orders from manduca-baby-carrier.eu will be process by an official retailer of Manduca, Aber Natuerlich Onlineshop which is also located in Germany. Further useful Links.